Am I a Rich Dad or a Poor Dad? I watched my daughter walk through their house, in awe. 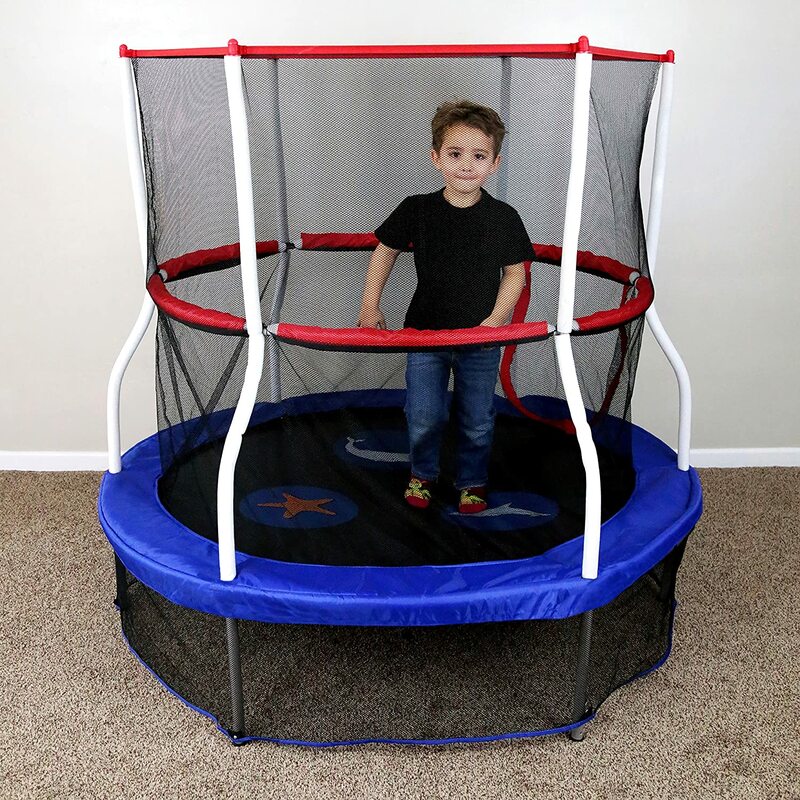 Here’s the trampoline we’re talking about. I don’t think the kid, staring into your soul, comes with it. I would have guessed they were closer to $150, but we just wouldn’t have the space for something like this inside our house. Some day, Daughter_01 will think that we are poor. For now, she’s 3.5, and she couldn’t care less. Still, what about when she’s older? Americans want more house. Bigger, better, flashier. And they are not afraid to move to get it. I bought our 1460 square-foot, starter home back in 2011 for $107,700. We paid the mortgage off by June of 2014. The home is now worth $131,000 and contributes to 32% of our current (March 2017) net worth.